These are the perfect Rock and Pop Function Bands for weddings, corporate events & parties in Suffolk, locally sourced by our entertainment experts. 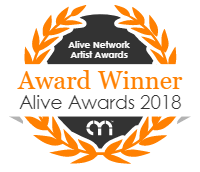 Find the best Suffolk Rock and Pop Function Bands only at Alive Network, the UK's biggest entertainment agency. A unique party band featuring fantastic female vocals and professional musicians. The stand out points for this band include their own take on an extensive repertoire of modern & classic rock & pop hits and their entirely live demo recordings. Alive Network are the largest Function Band agents supplying Suffolk and one of the leading entertainment agencies in the world. We specialise in booking Rock and Pop Function Bands for weddings, corporate events and private parties.